Seasons For Growth: What is Seasons for Growth? Following the closure of Seasons for Growth England and Wales by the former Trustees, we are now registered as Seasons for Growth Grief Education which has been given a New Charity Registration number: 1173121. The first Conference and Re-connector was held in Wales on 28th June 2017. A further Conference and Re-connector was held at Brunel University London on 29th June 2017. What is Seasons for Growth? Seasons for Growth is a loss and grief peer-group education programme to support young people aged 5-19 years and adults who are affected by change, loss and grief. It was first delivered in 1996 and is well established in Australia, New Zealand, Ireland and the United Kingdom. A healthy society where grief and loss are recognised as a normal part of life and appropriate support is available to all. Seasons for Growth is based on the belief that change, loss and grief are normal and valuable parts of life. It aims to produce a sense of resilience, personal growth and acceptance of change in people’s lives. The children and young people’s programme deals with change, loss and grief associated with death, family breakdown, or any other form of separation. The adult programme covers a much broader range of life changes such as unemployment, dislocation, dealing with disabilities, moving to a nursing home, or even suffering from the effects of natural catastrophes. Why call it Seasons for Growth? Grief is a bewildering experience and can take many forms. 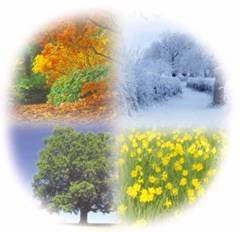 The seasons in nature represent change, with good days and bad days. They occur in a cycle which we cannot alter or prevent from happening. Accessible and easily understood, the metaphor of the natural seasons – autumn, winter, spring and summer – provide participants in our programmes with a language which helps them to understand and learn from their grief experience. Is Seasons for Growth Counselling? Seasons for Growth is a group peer-support programme, rather than individual counselling.